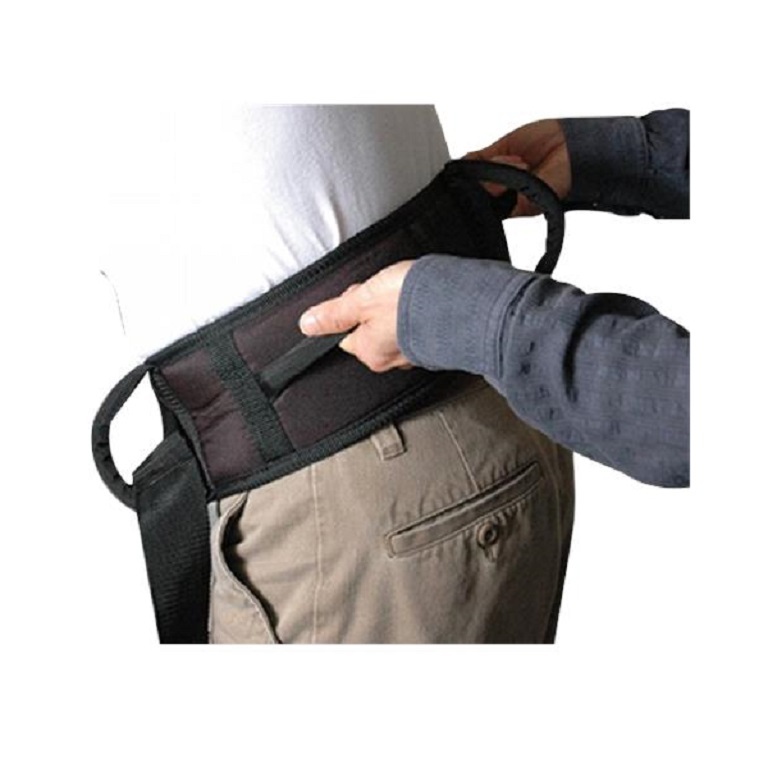 SafetySure Padded Transfer Belt has an anti-slip inner surface, multiple hand grips. 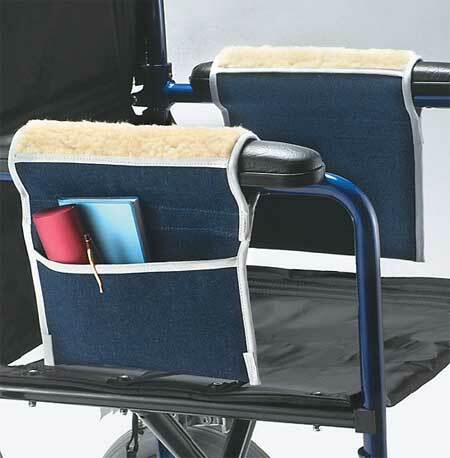 The SafetySure Padded Transfer Belt is a cushioned lined belt with hand grips for assisting people with limited mobility in safe transfers or walking. The woven cotton fabric coated with anti-slide, skin friendly padded material on the inside surface prevents belt from moving or sliding during use. 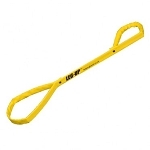 The SafetySure Transfer Belt has multiple hand grips for a firm grip during transfers. 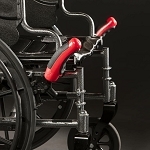 The quick release "fix lock" buckle is easy to use, and allows the belt to quickly and easily be released. 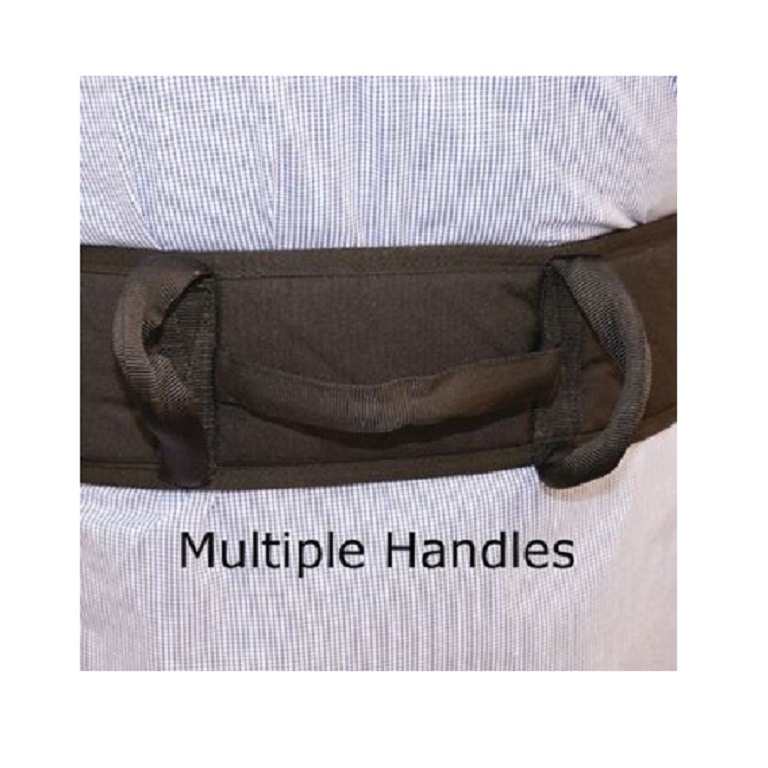 Users with limited mobility who need assistance to transfer will find this 4 inch wide, 3/8 inch thick padded belt more comfortable than standard gait and transfer belts. 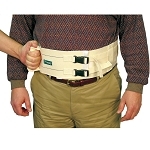 CMT6033 Small SafetySure Padded Transfer Belt fits waist sizes 23-36 inches, has 2 horizontal and 2 vertical hand grips, and is 36 inches long. 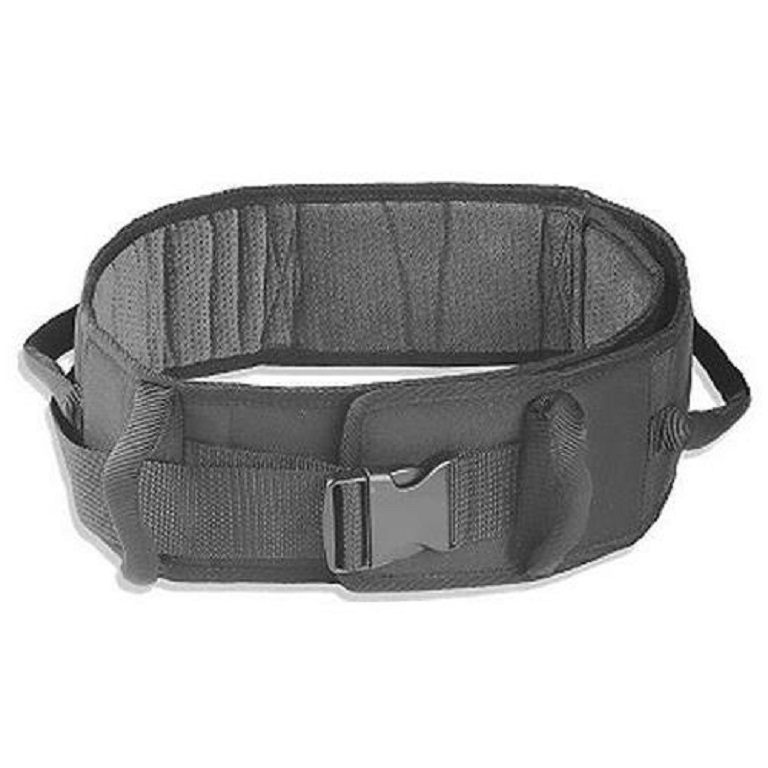 CMT6034 Medium SafetySure Padded Transfer Belt fits waist sizes 32 - 48 inches, has 2 horizontal and 3 vertical hand grips, and is 48 inches long. 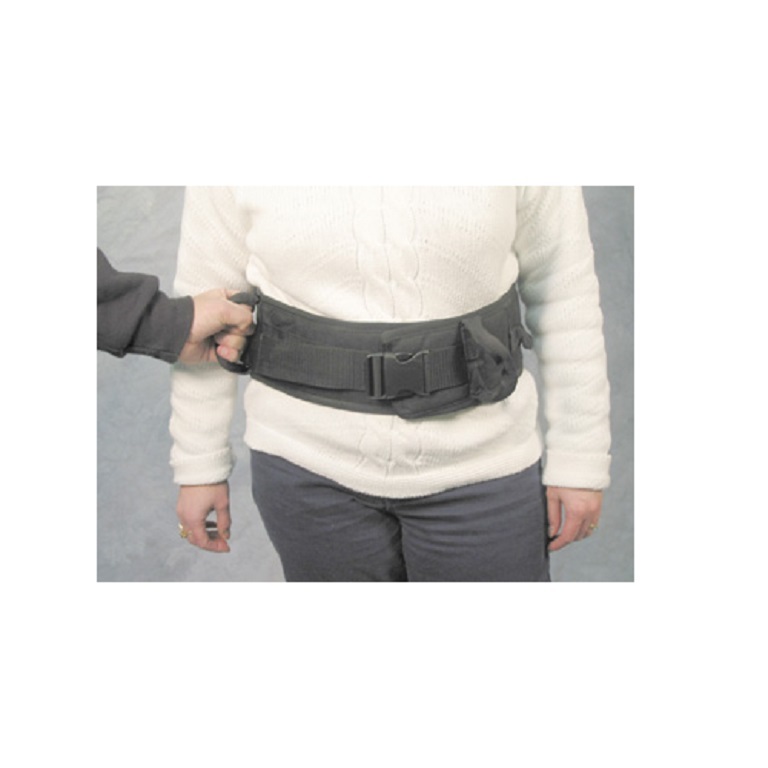 CMT6035 Large SafetySure Padded Transfer Belt fits waist sizes 42 - 60 inches, has 3 horizontal and 4 vertical hand grips, and is 60 inches long. Measures: 4 inches wide, 3/8 inches thick. Small size fits: Waist sizes 23 - 36 inches. Medium size fits: Waist sizes 32 - 48 inches. 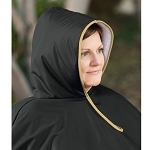 Large size fits: Waist sizes 42 - 60 inches. 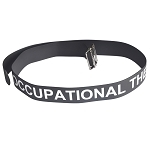 Use this belt for lifting my wife in & out of our pick up truck. Works really well. Does not slip like some others I tried. The wifesays it is the best one yet. 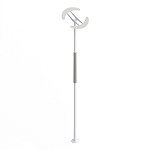 This product is working great for a small individual with problems with bruising. 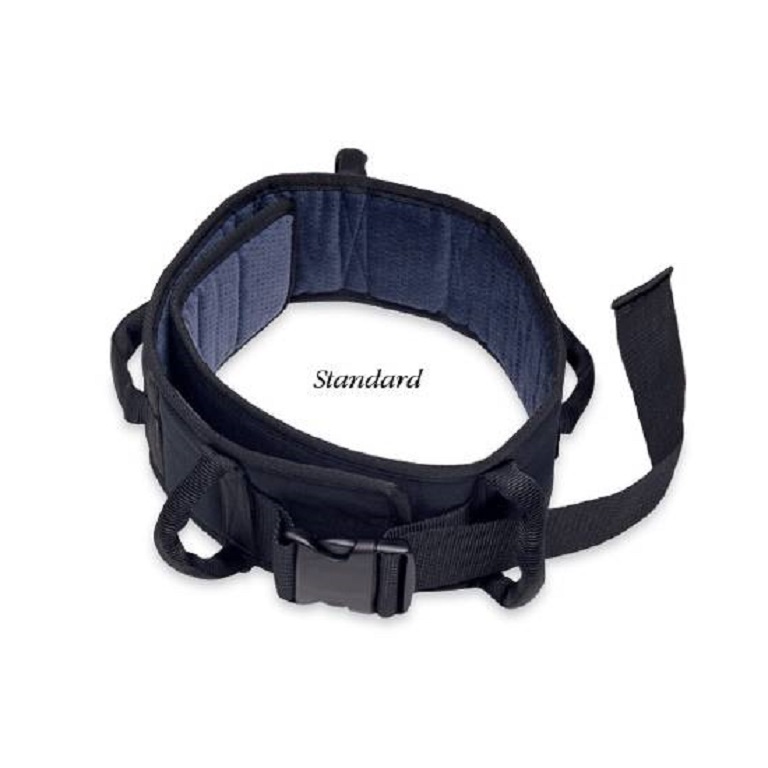 This gait belt is great as the width helps prevent bruising while holding during a fall, and the multiple hanldes help being able to get a grip and sustain it during a fall. Q: What is the length of a small versus medium versus large? A: Small size fits: Waist sizes 23 - 36 inches. Q: Can you tell me the dimensions on the sizes please? A: Measures: 4 inches wide, 3/8 inches thick.